Members of Mexico’s Criminal Investigation Agency of the Attorney General's Office have arrested Naim Libien Tella - owner of the newspaper Diario Amanecer, and vice president of the newspaper unomásuno - for tax fraud. Last year the US Treasury Department named Libien Tella as having business connections with Los Cuinis, which is believed to be the financial wing of the Jalisco New Generation Cartel (known by its Spanish acronym, “CJNG”). As a result of these concerns, all US assets and interests of Libien Tella were frozen, and US citizens were prohibited from engaging in any business activities with him or his companies, including the newspaper Diario Amanecer and his air taxi company Aerolíneas Amanecer. There is a lot of history to this story, and more than meets the eye. In 2007, Abigael González Valencia, a leader of Los Cuinis, granted power of attorney to Libien Tella to allow him to control his investment company Valgo Grupo de Inversión. The CJNG is on the Treasury Department’s radar because its strength has grown considerably in recent years. The cartel is mostly active in the Pacific Coast states of Colima, Jalisco, and Nayarit, where it has dominated the drug trade, particularly for crystal meth, and proven itself to be a violent opponent of the Zetas cartel, and of its erstwhile overloads, the Pacific (Sinaloa) cartel. The CJNG has also on numerous occasions engaged in pitched gun battles with state security forces. Its success has brought expansion into Guanajuato and in the State of Mexico, where Libien Tella maintains the lion’s share of his business interests. It is alleged that the CJNG, via Los Cuinis, launders money throughout Central and South America. 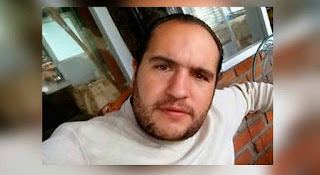 The Los Cuinis leader and confidante of Libien Tella, Valencia González, was arrested a few months ago in Montevideo, along with ten accomplices. His name had cropped up in the Panama Papers as a purchaser of luxury properties in Uruguay. For his part, Libien Tella has “categorically” denied the accusations, and declared his willingness to appear before Mexican and US authorities to clear his name. He has further accused the Mexican government of "deceitfully" sending false reports to the United States from "dark interests" seeking to quell the editorial line of his newspapers. There may be some truth to this. Libien Tella and his father, Naim Libien Kaui, have a history of close connections to the Partido Acción Nacional, which ruled Mexico during the administrations of Vicente Fox (2000-2006) and Felipe Calderón (2006-2012). When the PAN was in power at the federal level, Naim Libien Kaui conducted his business with impunity. He is a friend of Vicente Fox’s wife, the PAN activist Marta Sahagún, and has lent the couple the use of his Lear jet. The former spokesperson for Felipe Calderón and PAN fixer, Max Cortázar, has similarly benefited. As well, when Naim Libien Kaui acquired unomásuno back in 2002, the paper was heavily indebted. At that time he had just befriended Sahagún, and journalists accused him of extorting money from businesses by offering to “protect” them from government harassment, or from negative reporting. The role of the PRI, and the split between the two brothers, has some relevance given that the family’s various businesses are concentrated in Toluca in the State of Mexico, which has been ruled for generations by the PRI. In the past, both brothers appear to have had decent relations with PRI governors César Camacho (1995-1999) and Arturo Montiel (1999-2005). The State of Mexico has always been corrupt (it counts among its gubernatorial alumni the notorious Carlos Hank González), but it is of unique relevance because it has been a breeding ground for the PRI corruption we see today. In his tenure, Arturo Montiel loaded up on luxury properties in Mexico and France, with Forbes naming him one of the top ten most corrupt politicians in Mexico, truly an accomplishment. Montiel then passed the baton to his nephew, Enrique Peña Nieto, who was governor from 2005-2011. Peña Nieto, of course, is now the scandal-ridden president of Mexico. The present PRI governor of the State of Mexico, Eruviel Ávila Villegas, as well as President Peña Nieto, have suffered their fair share of criticism from Diario Amanacer and unomásuno, leaving some to speculate that Libien Tella’s recent arrest could be politically motivated. 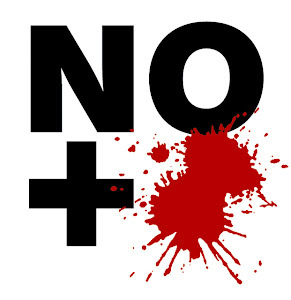 But given the ruinous violence in the State of Mexico, and the pathetic approval ratings for Peña Nieto, that seems unlikely – there is no shortage of criticism from multiple sources. More likely is that Libien Tella was becoming too dangerous, whether through his links with Los Cuinis and the CJNG or, as some speculate, because his business interests were colliding with those of PRI loyalists. The suspicion is that the present-day PRI governments, both federal and in the State of Mexico, have political and perhaps business motivations for arresting the younger Naim Libien Tella. But, whatever the story in Mexico, the pressure is clearly also coming from the US government, which has tied the family to corrupt and criminal business activities in areas as diverse as printing, construction, and even gas stations. Corruption is a tradition in Mexico, after all. Long before Naim Libien Kaui got into the newspaper business, people wondered about him. He was a renowned collector of WWII memorabilia, and had a reputation for being both eccentric and extravagant. His security detail was headed by a former member of the Papal Guard. He owned a six foot gold replica of a Phoenician ship, numerous ranches, and over 200 luxury cars. Not surprising, in a country where impunity runs rampant, that his son believes he can write his own ticket.